This die cast, chrome color metal keychain is as durable as it is fashionable. The full color SHRM-Senior Certified Professional (SHRM-SCP) dome logo has a popular, compact design. 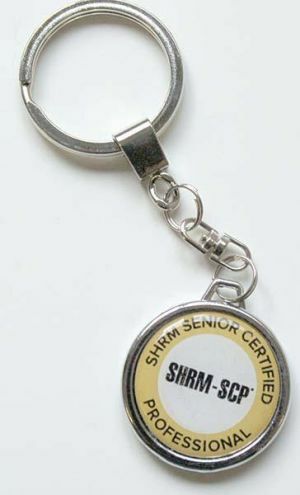 Easy to carry, this key chain features a 1 5/16" split ring. Measures 1.75 x 1.38.